HOLLYWOOD, FLA. – Jason Taylor, legendary Miami Dolphins defender and 2007 NFL Man of the Year, will celebrate another year of his charitable Foundation’s work in the South Florida community with the 13th annual Jason Taylor Celebrity Golf Classic Presented by Invicta Watch Group and Community Capital Management on February 21-22, 2016. Proceeds from the event will benefit the Jason Taylor Foundation, Holtz Children’s Hospital and Take Stock in Children. The festivities will begin this Sunday evening, February 21, with Taylor’s Seminole Hard Rock Hotel & Casino Charity Dinner and Auction at Kuro, the resort’s newest culinary innovation. The star-studded affair, emceed by Jason’s younger sister, Joy Taylor of FOX Sports 1, will feature celebrity guests, a silent auction and a spectacular menu boasting bold and complex flavors. All golfers will tee off at Grande Oaks Golf Club in Davie, Fla. on Monday morning, February 22. Another all-star guest list will support the Jason Taylor Foundation at this year’s Classic over the course of the two days. The Dolphins career sack leader will be joined by sports stars, past and present, including Morten Andersen (NFL’s all-time leading scorer), Ronnie Brown(Pro Bowl running back), Ki-Jana Carter (former NFL #1 overall selection), Channing Crowder (former Dolphins linebacker and current 560 WQAM radio personality), Chris Doleman (Pro Football Hall of Fame defensive end), Dwight Gooden (three-time World Series Champion), Ed “Too Tall” Jones (member of Dallas Cowboys “Doomsday Defense”), Eddie Jones (three-time NBA All-Star), Olindo Mare (former Dolphins and Carolina Panthers kicker), O.J. McDuffie (two-time Miami Dolphins MVP), Alonzo Mourning (Miami Heat legend and member of Basketball Hall of Fame), Jonathan Ogden (Pro Football Hall of Fame tackle), Maurkice Pouncey (Pittsburgh Steelers three-time All-Pro center), Mike Pouncey (current Dolphins Pro Bowl center), Brett Romberg (former Miami Hurricanes and NFL center), Bart Scott (CBS NFL analyst and former All-Pro linebacker), Tony Siragusa (FOX broadcaster and member of Baltimore Ravens 2000 Super Bowl championship team), Takeo Spikes (two-time All-Pro linebacker), Dwight Stephenson (Miami Dolphins and Pro Football Hall of Fame center), Lawrence Taylor (Pro Football Hall of Fame linebacker and two-time Super Bowl Champion), Wes Welker (five-time Pro Bowl receiver), and Ickey Woods (former NFL All-Pro running back ). For the eleventh consecutive year, JM Family Enterprises, Inc. and Southeast Toyota Distributors, LLC, have generously donated a vehicle to be raffled off as part of the Jason Taylor Celebrity Golf Classic, as donors have a chance to win a 2016 Scion iM! 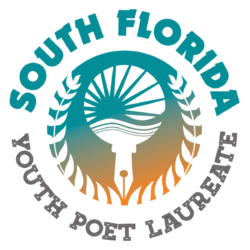 Tickets are available for a $100 contribution (each) to the Jason Taylor Foundation and the winning ticket will be drawn following the golf tournament on Monday, February 22. A maximum of only 500 tickets will be available and one lucky winner will drive away in a 2016 Scion iM. In addition to Invicta Watch Group, Community Capital Management and the Seminole Hard Rock Hotel & Casino, other major contributors to the Jason Taylor Celebrity Golf Classic include A&T Dry Cleaners, BankUnited, Best Buy of Davie Town Center, Blaze Pizza, Breakthru Beverage Florida, Brown-Forman, Callaway, Choice Transportation, Dada, Fanatics Authentic, Tony Galvin, Gerlinde & Michael Photography, GlobalPro Recovery, GolfRank, Graycliff Cigar Company, Heritage Travelware, JM Family Enterprises, JM Lexus, Jordan Brand, KLVN, Doug Leeman, Michelob Ultra, MIK Construction Group, Pepsi Beverages Company, Perry Ellis, Seminole Tribe of Florida, ShakeFX, Southeast Toyota Distributors, LLC, Steven Douglas Associates, Thunderous Genius Creative House, Tony Randall Theatrical Fund, UPS, Wizard Creations and Zing Sock Club. 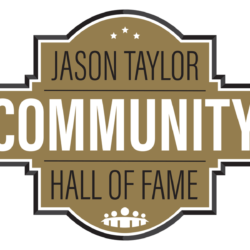 Limited individual tickets still remain for Jason Taylor’s Seminole Hard Rock Hotel & Casino Dinner & Charity Auction for $250 each or $2,000 for groups of 10, and can be purchased by calling the Jason Taylor Foundation at (954) 424-0799. 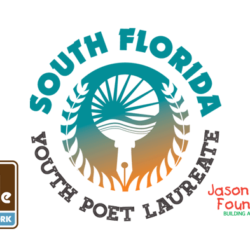 The Jason Taylor Foundation is a 501(c)(3) organization whose mission is to support and create programs that facilitate the personal growth and empowerment of South Florida’s children in need by focusing on improved health care, education and quality of life. For more information on the Jason Taylor Celebrity Golf Classic Presented by Invicta Watch Group and Community Capital Management or the Jason Taylor Foundation, please visit the organization’s website at www.JasonTaylorFoundation.org or follow on social media sites includingFacebook: www.facebook.com/jasontaylorfoundation or Twitter and Instagram: www.twitter.com/@jtfoundation99.